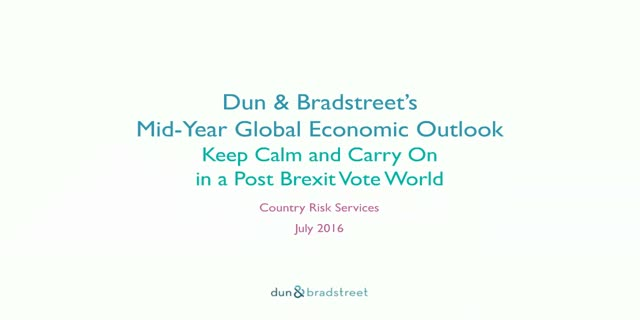 In light of Dun & Bradstreet’s downgrade of the UK’s country risk score from DB2a to DB2c, our team of expert economists have made recommendations on navigating the evolving post-Brexit vote landscape. •Our top 5 recommendations for navigating the changing landscape. About Us: Dun & Bradstreet’s Country Insight economists specialise in analysing data to identify the risks and opportunities to be found in the business environments of 132 countries across the globe, creating commercially relevant and decision-ready recommendations.